“Compelling and evocative from start to finish” - Exclaim! With its Canadian Winter tour dates just around the corner, Reuben and the Dark is sharing the new video for the previously unreleased fan favourite track “Hold Me Like A Fire.” The video, recorded at the National Music Centre in frontman Reuben Bullock’s hometown of Calgary, features a full choir of fans and National Music Centre members joining the chorus. 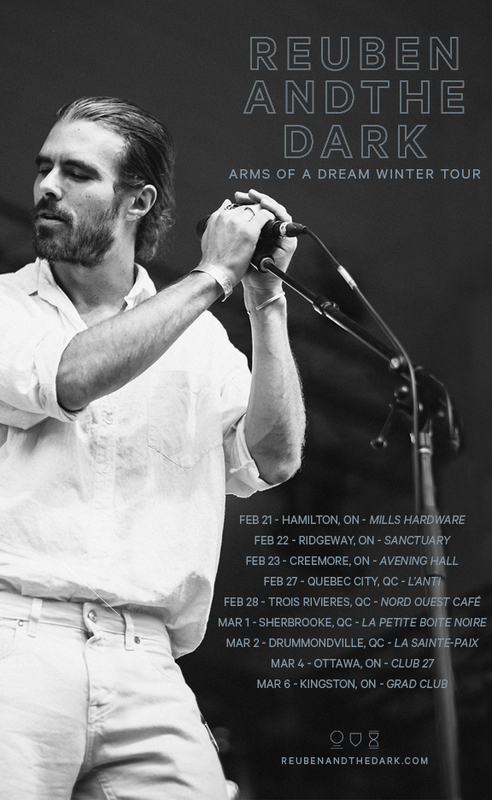 In the past year, Reuben and the Dark has taken its new record, Arms of a Dream, throughout the US and Canada including stops at Field Trip Festival, Interstellar Rodeo, and Calgary Folk Festival, and throughout Ireland with Hermitage Green. Next week the band returns home to Canada for a run of tour dates throughout Ontario and Quebec. Full tour dates can be found below. Last year, the spirited folk-rock outfit released a cover of The Tragically Hip’s timeless and nation-defining song “Bobcaygeon” to benefit the Gord Downie And Chanie Wenjack Fund, which is part of Gord Downie’s legacy and embodies his commitment, and that of his family, to improving the lives of First Peoples, and to aid our collective reconciliation journey through awareness, education and action. 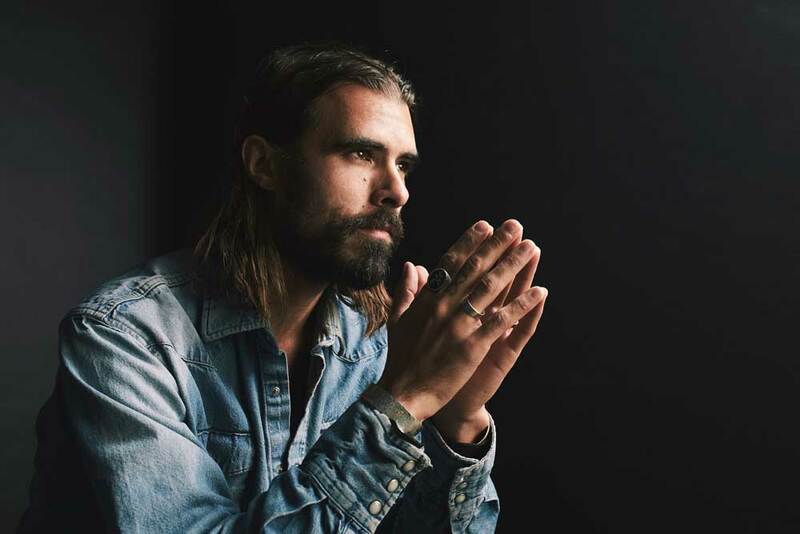 In the past year, Reuben and the Dark have taken their new record, Arms of a Dream, throughout the US and Canada including stops at Field Trip Festival, Interstellar Rodeo, and Calgary Folk Festival. The band is just about to put the wraps on a successful run of Fall tour dates throughout Canada before heading to Ireland later this year with Hermitage Green. Already the band is looking ahead to its next trip across Canada beginning in February 2019. Full tour dates can be found below. The spirited folk-rock outfit recently released a cover of The Tragically Hip’s timeless and nation-defining song “Bobcaygeon” to benefit the Gord Downie And Chanie Wenjack Fund, which is part of Gord Downie’s legacy and embodies his commitment, and that of his family, to improving the lives of First Peoples, and to aid our collective reconciliation journey through awareness, education and action. Available to purchase and stream today, proceeds from Reuben and the Dark’s cover of The Tragically Hip’s timeless and nation-defining song will benefit the Gord Downie And Chanie Wenjack Fund, which is part of Gord Downie’s legacy and embodies his commitment, and that of his family, to improving the lives of First Peoples. In collaboration with the Wenjack family, the goal of the fund is to continue the conversation that began with Chanie Wenjack’s residential school story, and to aid our collective reconciliation journey through awareness, education and action. “The Downie Wenjack Fund is important because of its focus on youth, its active education on Indigenous history, and the creation of connections with this land's rich Indigenous culture. I am compelled to be a part of this action, to be both a listener and a participant in these conversations, a student of these issues, and a proponent of progress,” Bullock said. The spirited folk-rock outfit recently released a new album, Arms of a Dream, out now on Arts & Crafts. The record finds songwriter/vocalist Reuben Bullock working outside his comfort zone, both musically and lyrically. The result is Bullock’s most vivid and transformative music to date: an intimate exploration of the inversion of imagination and reality in dreams. On the heels of a successful stint of U.S. tour dates, a stop at Field Trip Festival and magical sets at Interstellar Rodeo and Calgary Folk Festival, Reuben and the Dark is adding more dates to their fall tour. The band will perform in their home province of Alberta on October 29 at The Winspear Theatre in Edmonton, October 30 at The Jack Singer in Calgary and November 3 in Lethbridge at Southminster United Church. Full list of tour dates can be found here and below.